Seriously stylish home pieces @targetstyle! I happened to be picking up some household essentials when I totally scored on the home decor front. 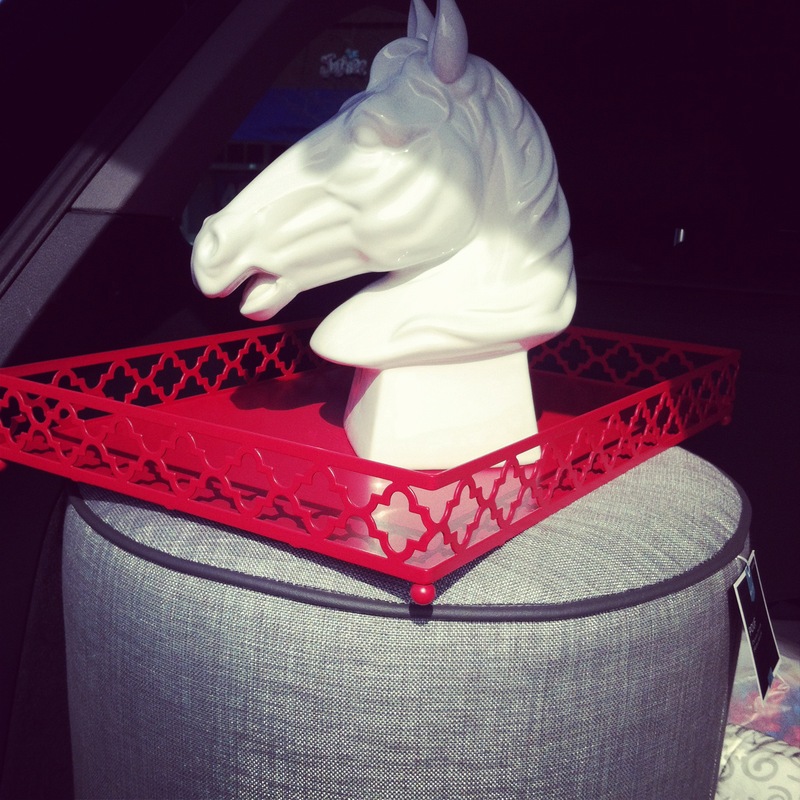 I love it when Target has great pieces in store…..
All Target I assure you! Um a white ceramic horse head?? YESSSSS!!!! 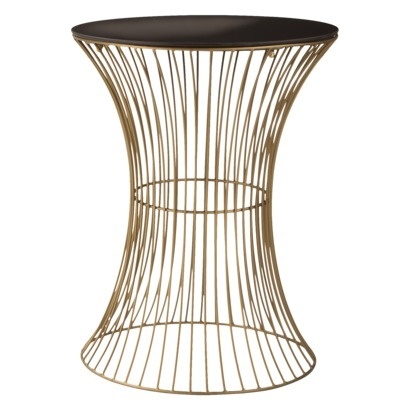 The red metal lattice tray is just gorgeous and will be great on a console table (when I find one) and the grey ottoman…only $50 my friends – yes $50!!! n.b these seem to be in store only pieces so dash off to grab yours whilst they are still there!